Harrod Sport ® 9 v 9 Socketed Round Heavyweight Steel Football Goal Posts 16ft x 7ft is socketed steel football goals ideally suited for school and junior club use. 2 x Socketed Steel Goal Posts 16ft x 7ft. 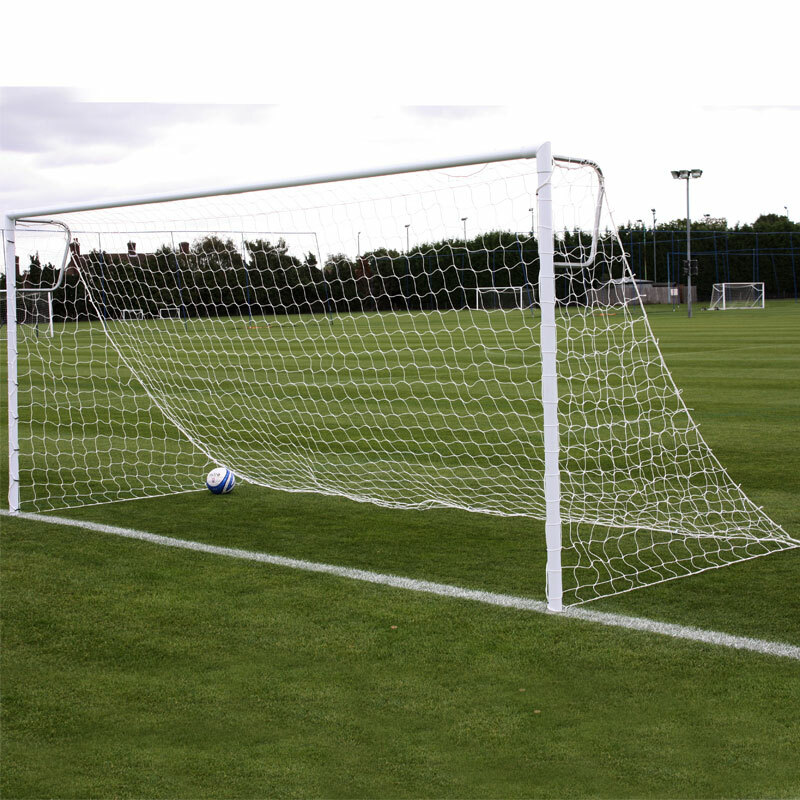 1 x Socketed Steel Goal Post 16ft x 7ft. 60mm diameter x 4mm thick steel crossbars and 3mm thick uprights. Sockets complete with lids included. Sockets are designed to allow uprights to sit 308mm in socket. 4.88m x 2.13m (16' x 7') - 95kg per pair, 47.5kg per single.